Imagine a world in which you were perfect for a job, but your application was unsuccessful. That world exists, indeed it is something many of us have experienced. You may have been given constructive feedback which, while no real consolation, gives you something to work on. Now imagine a world in which you were unsuccessful applying for a vacancy for no reason except your age. Sadly, this world also exists. You could be perfect in every way but for how many / few years you’ve been on the planet. This is unfortunately a problem that is still encountered. Candidates will seldom be told this is the reason – it is illegal after all – but there are employers out there that won’t hire people on account of their age – old or young. So what should HR and employers do about this? Unfortunately, age-related bias is not a new problem, with several studies showing concerns that this has happened in the past. Just last year, the now-Minister of State for Pensions, Dr Ros Altmann, published a report that aimed to help those over 50 years of age to stay or move into work. 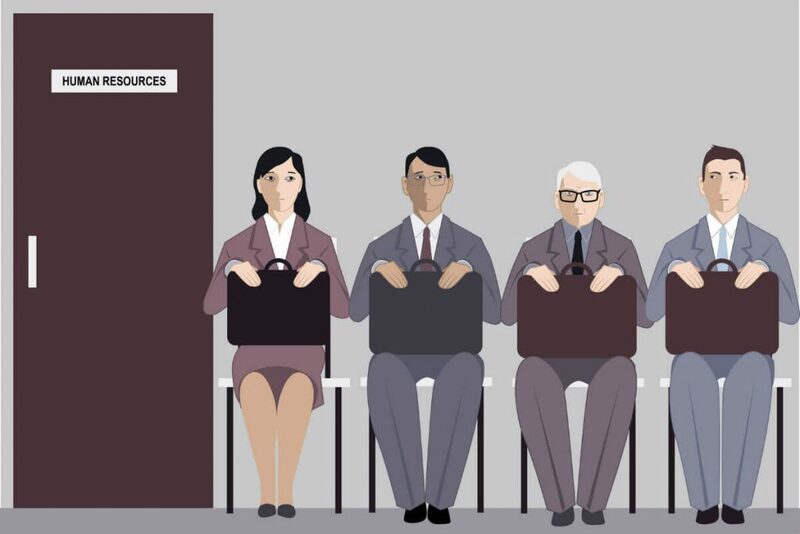 Amongst a raft of recommendations, the report advised employers to undertake an age and skills audit for businesses which should include both monitoring and guarding against age bias in recruitment practices. Dr Altmann explained: “There is evidence to show there is an in-built bias among recruiting firms and employers with regard to employing the over-50s. I am recommending that there should be proper penalties for employers who flout the law. The concerns about age-related recruitment bias were echoed by Mercer Europe’s survey in October 2015. It revealed a lack of checks on hiring and recruitment practices, while 87% of respondents said they do not look at whether or not hiring managers employ people older than themselves. In addition, 92% said they have never done any analysis to check whether a client is discriminating because of age. Yvonne Sonsino, Mercer’s Europe Innovation Leader, said: “There are limited examples of age equality checks in other key areas too, such as on pay levels by age, performance grade distribution and training spend. There are laws in place to guide employers and recruiters. This legislation also sets out the ramifications of not adhering to policy. Employers and their HR departments should remember that employees and candidates are covered by the Equality Act 2010. This Act makes any form of discrimination – including on the basis of age – unlawful. This means that candidates and employees alike should be protected from age discrimination during recruitment, terms of employment, the conditions within which you work, any promotions, training and dismissal procedures. These provisions should ensure that recruiters and employers don’t disregard a candidate because they are perceived to be too old or young. If candidates fit job competencies, their application should be taken seriously, regardless of age. The Equality Act is in place to prevent four main types of discrimination: direct, indirect, harassment and victimisation. Direct discrimination occurs when a candidate is treated differently because of their age, their perceived age or due to the age of somebody they associate with. It differs from indirect discrimination which usually happens when there is a policy already in place that means a person is treated differently and unfairly. There exists the potential for many people to be discriminated because of this, but it can specifically be the case with age if a recruiter asks for applicants with a number of years’ industry experience, which in turn could discriminate against the younger generation of candidates. The Act protects against harassment, when there is conduct either in work or during the application / interview process that is related to age and creates a hostile environment for the individual in question. Victimisation, meanwhile, centres around unfair treatment of employees who have made complaints based on age discrimination. Employers and their HR staff, as well as recruiters need to be wholly aware of these issues when hiring staff, starting the recruitment process, and writing company rules and policies. In many ways, recruitment agencies are privy to the mistakes made by employers and businesses during the hiring process. The use of employment agencies is invaluable to companies who don’t have the time or resources of people to undertake the sometimes arduous recruitment process. Therefore, these companies will contact their recruitment agency with specific requests for candidates. It is in these instances that employers can fall into the age discrimination trap. If, for example, they ask for candidates of a certain age bracket, they have already disregarded the rules. Seemingly, smaller companies are more likely to not know the laws. This can be for a number of reasons: there is no HR department / professional at the company, they do not hire often enough to read up, or they are simply not aware of the existence of such laws. Recruitment agencies have mixed experiences in these instances. Some of those we spoke to say that larger employers with HR departments are in tune with the ins and outs of the Equality Act and pass this guidance onto hiring managers. The suggestion is that although their experience shows smaller companies are generally aware, there have previously been requests that would hint at finding younger or older applicants. The recruiter in question made the employer aware that such requests are not possible due to the risk of discrimination. This fits in with indirect discrimination. Other recruitment agencies are faced with this problem too. In particular, the difficulty in eradicating discrimination is apparent. Recruiters have said that even though they’ve never had a client ask outright for candidates of a certain age, they have made it clear the culture of the office and the average age, which implies the type of clients employers are after. How can you police this? With great difficulty. There are agencies out there that remove any dates of employment or education, along with names, in order to minimise the threat of ageism or religion-related bias. However, looking at qualifications can give employers a rough idea of the age range a candidate is in. For instance, if O Levels were studied rather than GCSEs, automatically, the company will have an idea of age, without seeing dates. Even then though, after recruiters have done all in their power to remove the risk of discrimination, the prominence of social media makes it almost impossible. Employers only have to log in to Facebook, LinkedIn or Twitter and can find any candidate who has applied for a job within a few clicks. By seeing somebody on these platforms, judgements regarding age can be made. This can happen despite the best efforts of recruitment agencies. Some discrimination, as we can see with indirect discrimination, can occur without intention. A company could have the best intentions but any oversight in writing policies or job advertisements can cause aggro. This happens with unconscious bias. Where do people have to make quick judgements and assessments? When recruiting of course. It means awareness of the whole process absolutely is imperative so that employers do not discriminate against candidates. The company’s exercises with hiring managers include activities that find out what these people think of when they think of either younger or older workers. More often than not, all thoughts are biased, rather than fact. It makes people think and this could be a handy tool in removing the risk of unconscious bias. Stereotyping, which is a common trait with discrimination, is an example of unconscious bias according to Matthew Davies, Senior Coach at Power the Change. He believes reminding a company of the law is “the last thing to do.” Rather than training courses, start by having honest conversations with hiring managers about stereotyping and contextualise the person to show that, whether old or young, it won’t affect their ability to do a job they are qualified to do. Working with staff in practical scenarios can point out mistakes of discrimination and unconscious bias, which can then be followed by the policy and legislation. What can employers / HR do? The importance of wording cannot be overstated, for it could lead to ramifications if complaints are made. As such, job adverts shouldn’t be written that clearly point to looking for candidates from a particular age group. Just as important are the implied terms that are placed in an advert. Anything that suggests older or younger candidates are preferred – mature and dynamic are just two words that spring to mind – could land an employer in hot water. Even asking for a certain number of years’ experience can be deemed discriminatory. This can be altered by phrasing differently. Employers instead can ask whether experience has been demonstrated in certain areas, for example. This negates the risk of getting sued for ageism but still ensures you’re getting candidates with the requisite experience. Employers and HR professionals can reduce risks of ageism at either of these stages simply by making sure the process is run by more than one person. People naturally will act as a check and balance to each other. If one is veering towards discriminatory behaviour, the others should see this and can correct before any harm is done. Even if age is not mentioned on applications, it can be estimated from employment and education history. It is important that this does not play a part in the shortlisting process. Don’t make assumptions about candidates being too old or young for the job you’re advertising. Always, it should come down to competency. Similarly with interviews, the wording of questions is extremely important in order to guard against ageism. Never ask about maturity or if people are comfortable managing a younger or older workforce. Simple things really, but you’d be surprised how many fall into these traps. There are some instances where employers are exempt from the Equality Act. Specifically, if they can show that somebody of a certain age has to be recruited as part of a crucial occupational requirement that relates to the nature of the job, they can legally focus on hiring from a particular age bracket. An example of this is if an organisation is taking positive action in order to broaden the employment prospects of an age group that is underrepresented or disadvantaged in society. Similarly, age limits can be set on the grounds of health and safety. This could be to protect young workers, for example, as part of the Young Workers Directive – from the Management of Health and Safety at Work Regulations 1999. In this scenario, there is a justifiable reason to set an age limit. As we have seen, discrimination within recruitment is a complicated issue. There is clearly evidence that even the most diligent of recruiters may struggle to prevent ageism. For their part, employers must create an environment and culture that ensures applicants are treated the same regardless of age. The creation of this environment will hopefully result in the perfect candidate securing a job, regardless of age.